High-performance blend of 57% polyester, 28% worsted wool, and 15% low pill acrylic is comfortable, durable, and machine washable. Breakthrough bonded fleece technology is 50% warmer than ordinary sweaters while remaining highly breathable and wind resistant. 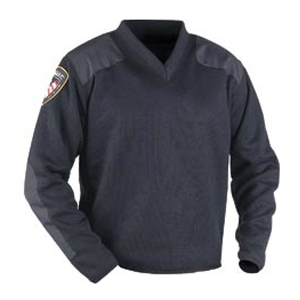 Optional badge tab, microphone tab, name tab, and epaulets included for customization.